Everything is in the tail! WHEN WE ADOPTED A BEAUTIFUL CORGI BY THE NAME OF MOLLY. WE HAD NO IDEA ALL THE MAGIC SHE WOULD BRING! SHE IMMEDIATELY CHARMED US WITH HER STRONG PERSONALITY BUT ESPECIALLY WITH HER LONG TAIL, WHICH IS NOT VERY COMMON FOR A PEMBROKE. WE THEN CREATED IT'S A CORGI TAIL: A FACEBOOK PAGE THAT ALLOWED US TO SHARE WITH OUR FRIENDS SOME MOMENTS OF HER LIFE! 365 DAYS LATER, MORE THAN 2000 PEOPLE HAD SUBSCRIBED TO OUR PAGE TO FOLLOWED OUR PHOTOS & VIDEOS. HAVING BOTH KNOWLEDGE AND EXPERIENCE IN ANIMAL REPRODUCTION, WE THEN CHOSE A MALE FOR MOLLY AND HAD LITTLE PUPPIES. THE FOLLOWING YEAR, WE DECIDED TO ENLARGE OUR FAMILY BY ADOPTING THE MAGNIFICENT LITTLE APPLE-POMME. SO CONTINUESS THE ADVENTURE OF IT'S A CORGI TAIL. OUR PUPPIES FLOURISH IN THEIR LOVING FAMILIES, WHILE OUR OWN FAMILY KEEPS ON GROWING: FIRST WITH THE ADDITION OF PEACH (WHY NOT? ), THEN THE FOLLOWING YEAR, OUR FIRST MALE MANGO! "HAPPY WIFE, HAPPY LIFE? "MAMA CORGI HERE IS MORE THAN HAPPY !! WE LIVE AN EXTRAORDINARY ADVENTURE WITH OUR UNIQUE FAMILY. 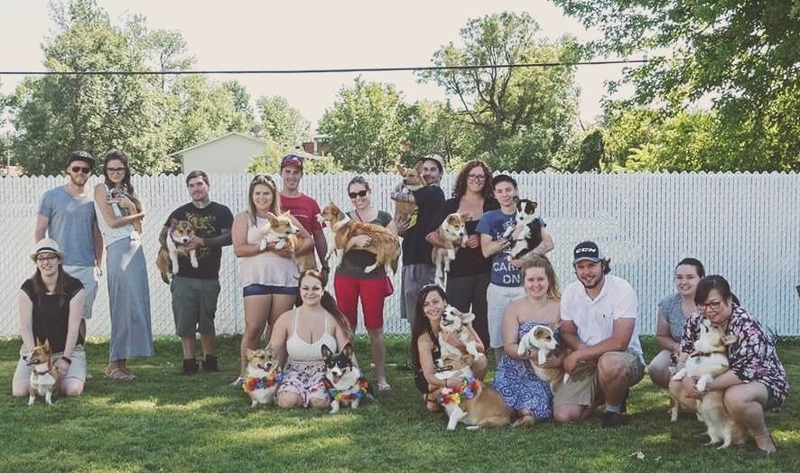 ITS A CORGI TAIL FAMILY PARTY!